What do the ice floor, cerulean spring waters, and incredible rock formations? The caves near Yosemite, of course! These dark, mountainside mysteries provide incredible opportunities to discover new worlds and wonders. Whether you are searching for new adventures or wanting interesting historical details, you will learn so much after leaving one of the most famous parks in the United States. As you drive on your day trip from Courtwood Inn, you’ll notice these scattered along your way to Yosemite National Park. Are you looking for ways to spend time outdoors? Request a copy of our free Vacation Guide! It’s full of our suggestions on which caves near Yosemite are worth visiting as well as other attractions nearby. It even provides details about the accommodations we offer at Courtwood Inn. 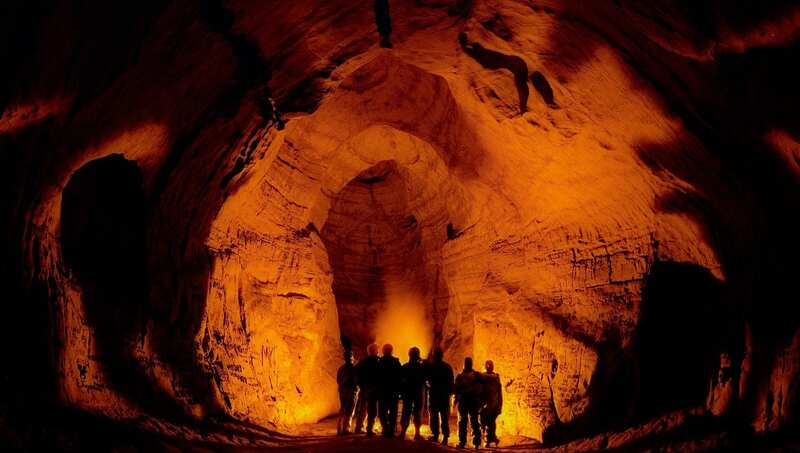 We know the best places to go spelunking, cave diving, and cavern touring! Here are our favorite caves near Yosemite that’ll open your eyes to what lies inside the Sierra Nevadas. Make your way through Lilburn Cave to discover the 17 miles of three-dimensional passages. It’s regarded as the longest cave system in Yosemite National Park and the state of California. As you walk through the incredible caverns, you’ll notice the walls are colored blue, green, yellow, and black from over 30 natural minerals. Lilburn also features a smooth stream leading back to the crystal clear Big Spring, the natural water source. It’s managed by the Cave Research Foundation and is strictly used for scientific purposes. You’ll discover the beauty of Crystal Cave when you walk through the 3 miles of carved passages. It serves as the park’s only commercialized cave and features unique shapes of naturally-formed speleothems (mineral formations created from groundwater). You may even spot some cave-dwelling aquatic isopods living in the beautiful river running through the caverns. Get your tickets today and tour this intricate cave system! The rocky wonders of Spider Cave contain stunning formations, and it is considered a three-dimensional maze cave. The Spider Cave tour is not a typical tourist attraction because you have to hike, climb walls, and wiggle through tight spaces. Before entering the cavern, you’ll venture through the Garden Grove Canyon and explore the Mace Room, Medusa Room, and Cactus Spring. It’s a challenging but rewarding way to spend time exploring caves near Yosemite. The intricate Mineral King Caves consists of over 30 caverns, 15 springs, dozens of sinkholes, blind valleys, and sinking streams. As you make your way through this system, you’ll be hiking along the rocky terrain and exploring the river which is fed by cerulean blue waters of the natural spring. You’ll discover towering rock formations and an incredible cave with an all-ice floor! You can even make your way through other caves like Cirque, Batslab, Seldom Seen, and Never Seen. Have you heard of the most popular as well as the most beautiful cave near Yosemite and in the Western United States? Hurricane Crawl is that place! You’ll become mesmerized by the large helictites, twisted formations that seems to defy gravity. You’ll notice the beautiful hues of orange, red, and yellow decorating the walls of the marvelous caverns. As you’re exploring, you’ll hear the rushing of an active, natural spring river winding its way through the cave. Once you discover your favorite cave near Yosemite, come back to Courtwood Inn with a camera full of pictures and head full of stories. We want to hear them as you check into your relaxing retreat with us. Unlace your hiking shoes and relax in your spacious suite and spa-like bathroom. 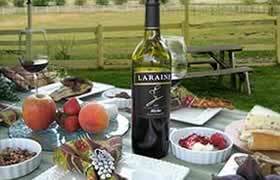 Or, pour yourself a glass of our signature wine and lounge on our beautiful outdoor deck. You’ll feel rejuvenated no matter which way you choose to relax at Courtwood! 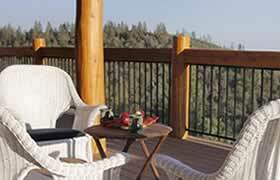 Plan your next Sierra Nevada Foothills trip with us today!